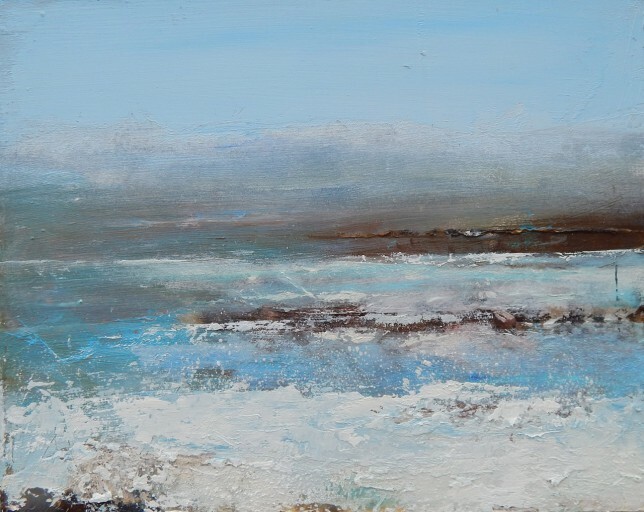 This artwork ‘Bright Blue Sea & Sky’ is now on show at Pocock’s the Artmongers in Burnham Market. Lots of new work coming together for exhibitions this summer and preparing two works for Cley17 – images of work in progress to follow and I shall be updating my portfolio page shortly. My creative art workshops are now fully booked, however I’m thinking of holding another if there’s enough interest on Saturday 8th July – so do get in touch if you’d like to take part. I also welcome studio visits if you’re interested in any of my art works.